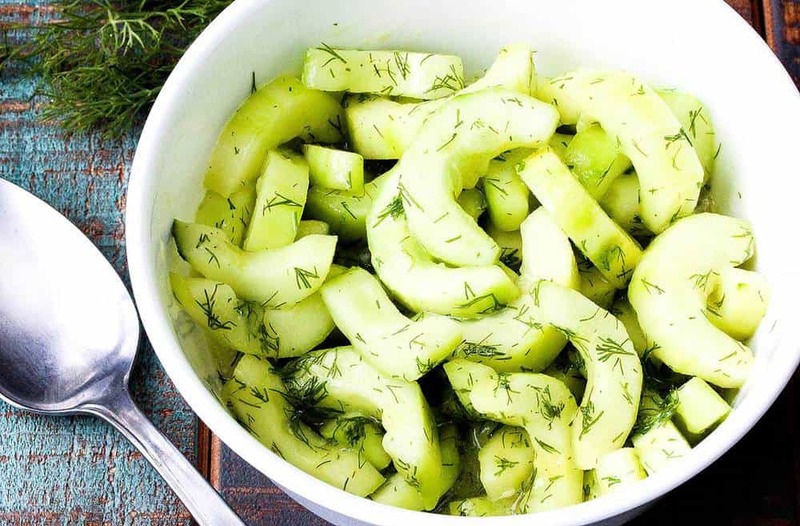 Cucumber and Dill Salad is so refreshing and is absolutely one of our most favorite summer salads of all time. The fresh cucumber and dill match perfectly with the white wine vinegar and Dijon. The salad is so simple and incredibly flavorful and is always such a big hit when we serve it at an outdoor BBQ or picnic. Of course, fresh cucumbers and dill right from the farmer’s market are a big part of what makes this easy salad so wonderful. But the vinaigrette brightens the flavors even more and offers a little tart matched against a hint of sweetness. 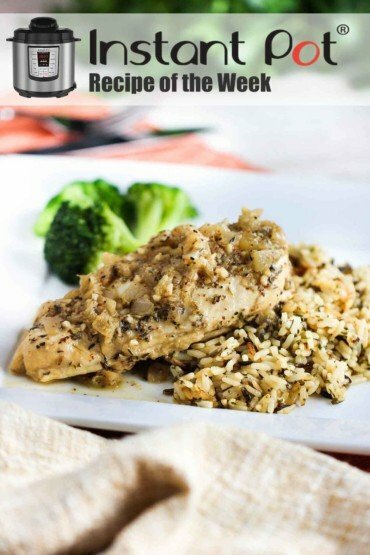 This Dijon vinaigrette is the BEST! 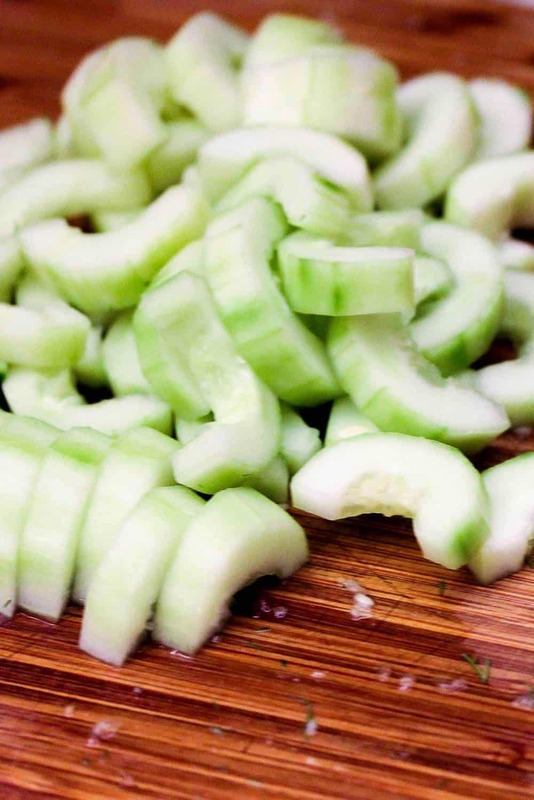 An easy trick to removing the seeds from the cukes is to simply slice the cucumber lengthwise down the middle, and then just grab a small spoon, or melon baller, and easily scrape out the center. Removing the seeds isn’t required, but we think it makes the final texture better and it also make for an attractive looking dish! 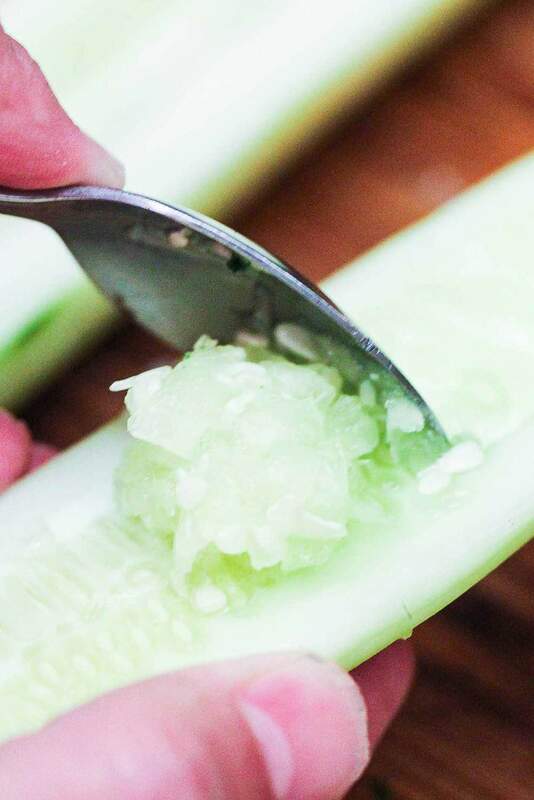 After scooping out the seeds, all you have to do is slice the cucumber into 1/4-inch slices. We like to peel strips of the skin off, but leave other strips of the skin on for another pretty ‘striped’ effect. 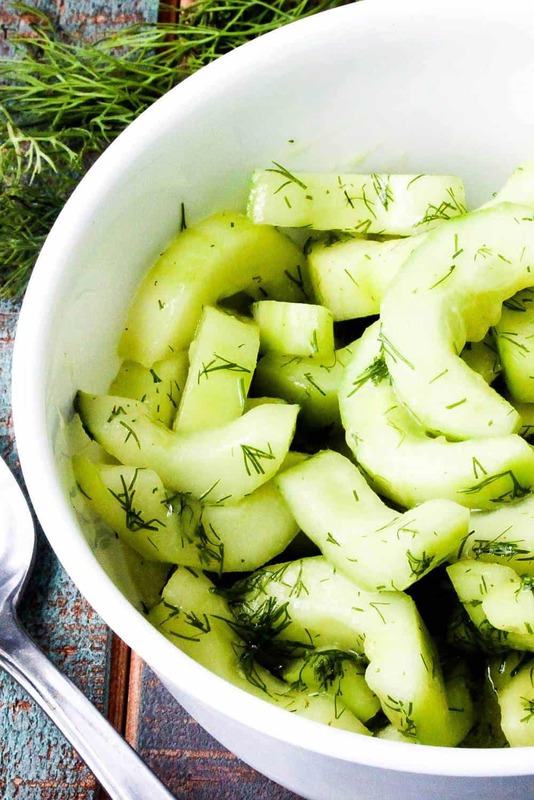 Slicing a cucumber for this awesome Cool Cucumber and Dill Salad couldn’t be easier. We just love everything about cucumbers. Especially Wesley. He always tells me about how as a young Loon, he would sit in front of a cool, loud and rickety electric fan in the hot South Dakota summer heat while eating a whole cucumber one bite at a time. The only addition to the refreshing treat would be the occasional dash of the salt shaker. Oh, my Loon. He knows how to find the good things in life. We love cucumbers by themselves, but we love them in all kinds of salads. Check our our Amazing Grilled Chicken Salad with pickled cucumbers. Yum! This iconic gourd has been around for 4,000 years, originating in ancient India! It’s history is pretty amazing. 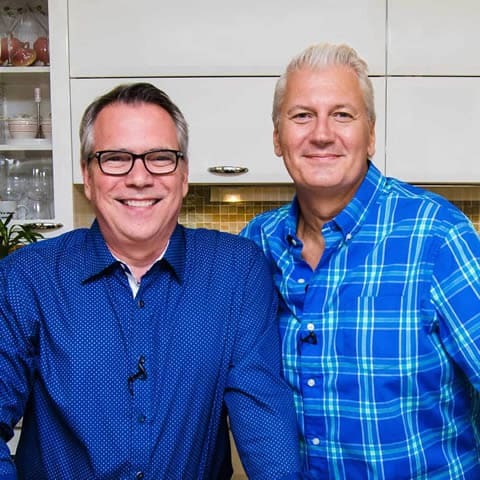 Learn more about Cucumber History from VegetableFacts.com and the make this incredible Cool Cucumber and Dill Salad! 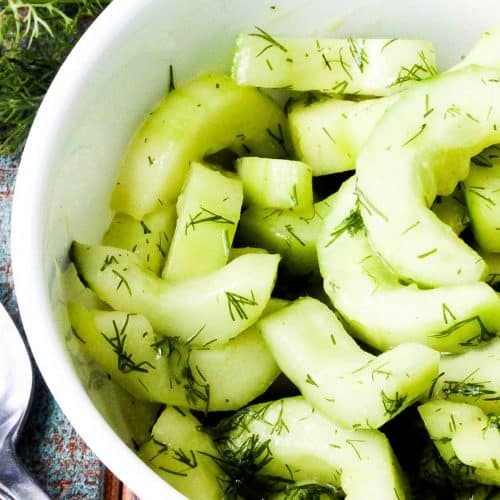 This Cool Cucumber & Dill Salad is so incredibly simple yet so flavorful. The cucumber and the dill match beautifully, and the slightly sweet and tart dressing are just perfect. This is one of those salads that doesn't stay around long on the serving table. Double the recipe to feed a group! Delicious! 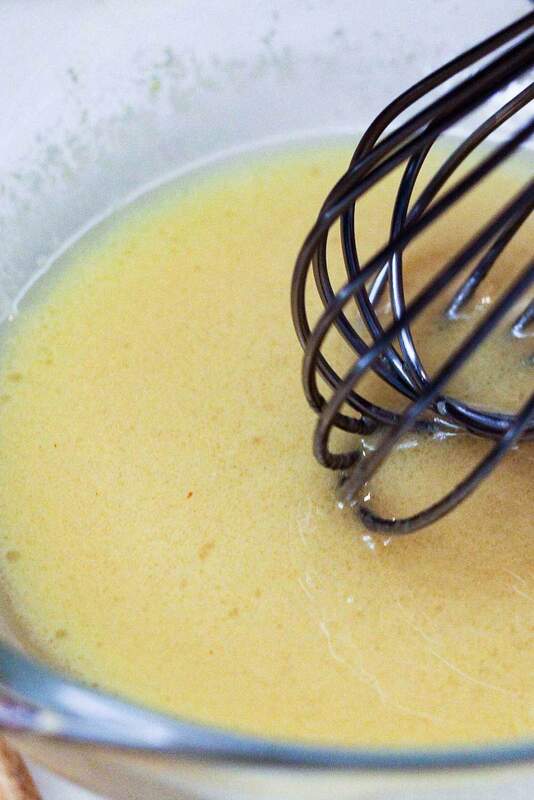 Whisk together the vinegar, mustard, salt, and sugar; and then whisk in the oil in a slow stream. Halve the cucumbers lengthwise and remove the seeds with a small spoon, cut the halves crosswise into 1/4" or 1/8" slices. Toss the cucumbers and dill with the vinaigrette.